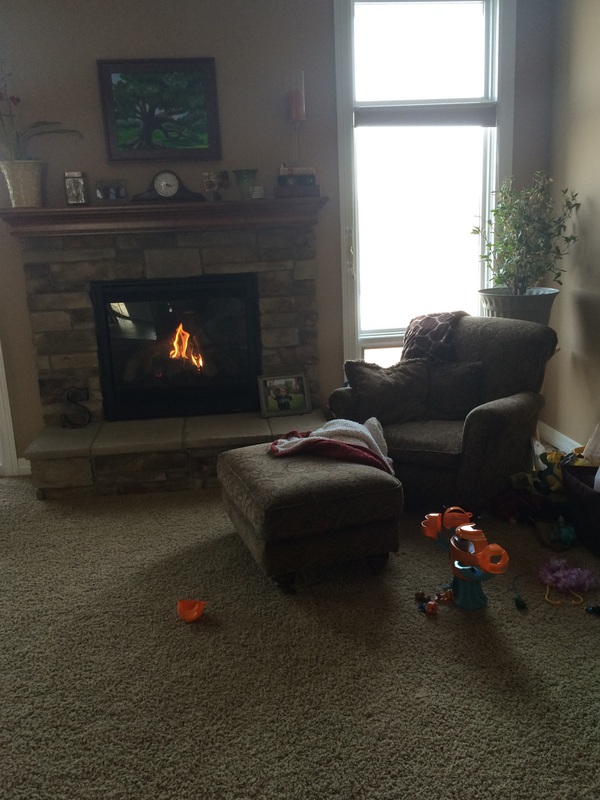 Friday Favorites: Resetting focus now that travel is done! Now that I’m done traveling for a couple of months, it’s time to settle in and really start work on my goals in terms of the Lincoln Half Marathon in May and work on getting my pants to fit a little more comfortably. Since I made the switch to My Fitness Plan, I’ve actually gained weight, but that also includes three trips in one month so it isn’t really fair to say it isn’t working. Instead, I think I just to need to take a deep breath and get back to some basics. I really like the start small approach in this article on How to Start Eating Healthier – pick a few liveable changes and add on as you can. Along the same lines, here are some quick (60 seconds!) things I can do to have a healthier day. I’m working on cutting back my night time snacking (although I’m happy to say the nightly pounds-of-grapes “snacks” are in the past). I’m also really conscious of my goal to find a healthier balance with food. Yes, I’d like to lose a few pounds so I can wear ALL of the pants in my closet, but I need to keep it all in perspective. I really like Michelle’s last point in this post about going off plan – sometimes you have to let the reins a little loose to prove that you can trust yourself. I’m still working on getting to that happy medium, but that’s really the goal – to ultimately trust myself to eat healthy foods and amounts of food without all of the electronic paraphernalia to keep me honest. I also like Terra’s reminder to lighten up. Letting go of fear and anxiety does so much for the way we feel and is something I’m constantly working on. When I’m been most successful in this arena, the scale has surprisingly followed suit and “lightened” up as well. 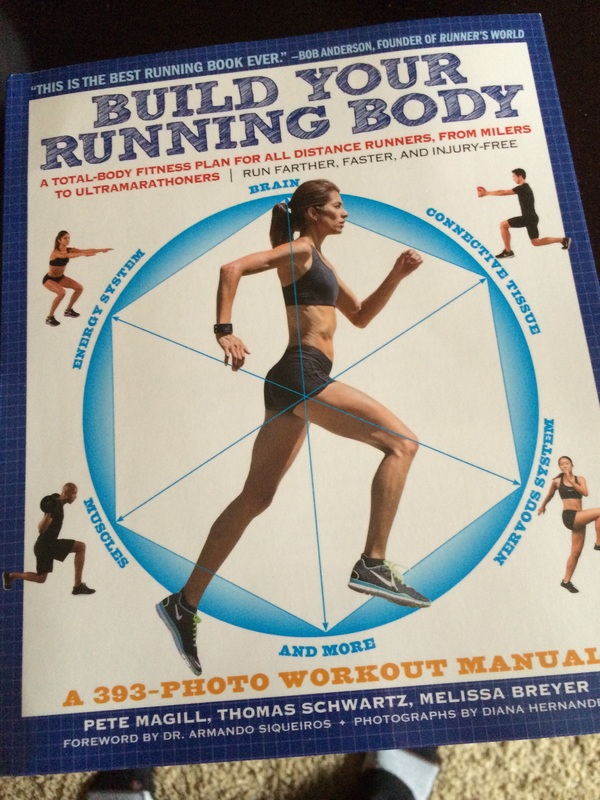 As I enter the last two months of training before the Lincoln Half Marathon, I’ve also been reading a lot more about running and thinking about fine tuning my approach to the training plan so I can meet my goals (more on that next week!). February is such a cold and miserable time that it can be hard to get excited about fitness goals, no matter how big or small they may seem. 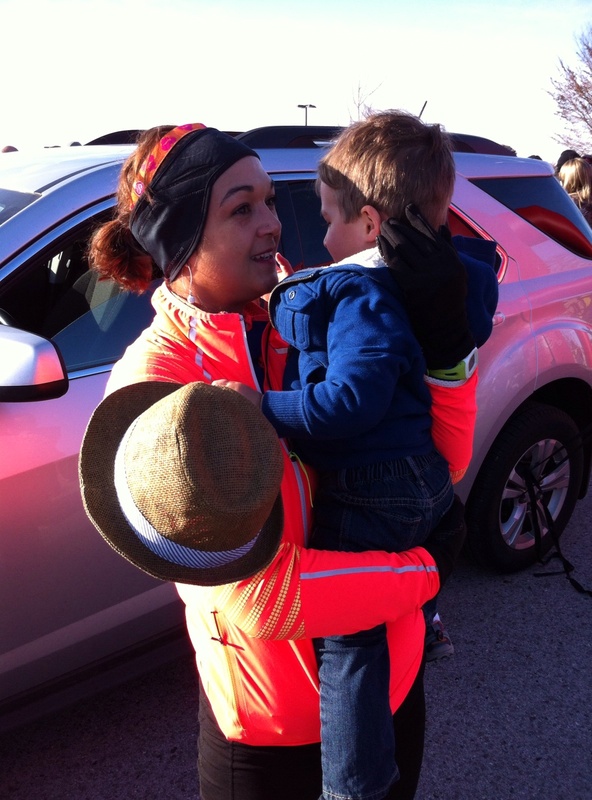 Erika at MCM Mama Runs had some great tips on getting motivated when you’re reluctant to get out there and run or whatever your exercise of choice is. I particularly liked the point about treats – I often daydream about cookies or some other treat during a run and yet end up with a healthy snack at the end of it all. 🙂 I also really liked Emmie’s post this week “No shame in your fitness game” – own how awesome you are in what you’re doing. We get caught up in comparing ourselves with the other people at the gym or on the race course or lamenting the lack of size 2’s at the store. It isn’t about someone else’s journey – like we talked about Wednesday, you can never know what their path has really been. Instead, it’s about ourselves and trying to do a little more each day than we did before. One more interesting thing to read if you have the time is this article over on Mother Jones about shifts in American food purchasing over the last few years, with a shift toward farmer’s markets and away from processed foods. The changes may be small, but they are certainly interesting. Hopefully we can see enough changes in the landscape to have “big food” providers start to join on making healthier, less processed foods more accessible for families across a wider geographic and economic spectrum than they are currently. Before you head out for your weekend runs or just to walk around the office today, I have to tell you the most interesting little posture tidbit. In one of the magazines I read flying back and forth to Memphis (no idea which one), I read a “better posture” tip that suggested you “pretend you were wearing a cape.” As a mom of a superhero obsessed little boy, this tidbit stuck in my mind far better than the more prosaic shoulders back and down, back straight, etc. 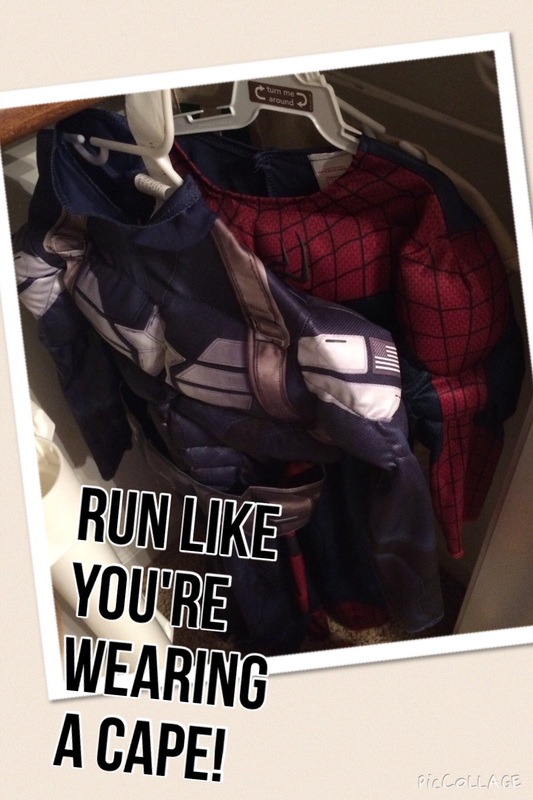 Great tip just for walking around – stellar for running! On my run Tuesday night, I told myself this over and over and not only did I actually keep my posture in check well enough that I didn’t have any of my usual shoulder/neck aches with the run, I felt like I was FLYING and had so much fun. 🙂 Definitely try it out! I hope everyone has a good weekend! Per usual for Omaha, we’re ending February on a snowy, freezing note. 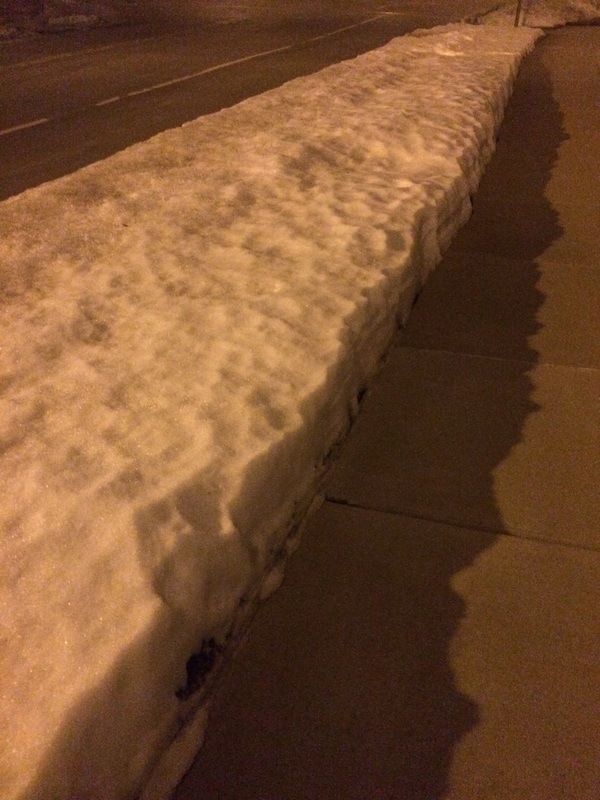 The Omaha weather gods never want us to get too excited about March and the prospect of Spring, I’ve learned. It’s been a busy week in our household (aren’t they all?) with lots of super cold weather. We’ve had lots of days where I just want to snuggle up in bed with a pizza to keep me warm. 🙂 Thankfully, I did a great job with meal planning this week and thought I’d share with you guys how it looks when it goes well. Confession: It doesn’t always go this well! 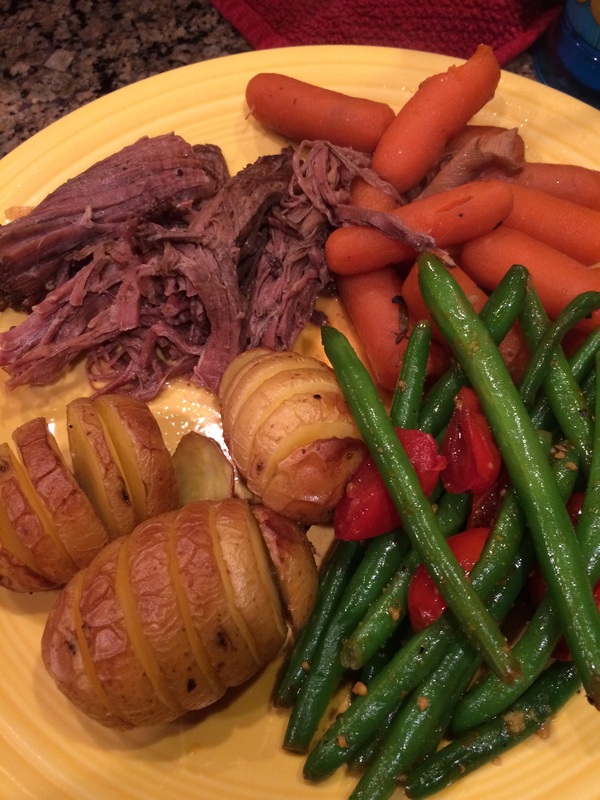 We decided to substitute pot roast for the beef tenderloin, which I could put in the slow cooker as soon as we got home from the grocery store. We decided on slow cooker soup on Tuesday, because I’d have turned around the slow cooker after pot roast by then (gotta be real about the dishes that don’t always immediately clean themselves!) and spaghetti with meatballs Thursday, because I could make the marinara and meatballs ahead of time on Sunday so we’d just have to cook pasta Thursday. I was going to use sausage in the soup, so we decided to use the rest of the sausage we wouldn’t need for the soup for sandwich thin pizzas for dinner on Friday. With a plan in place, we hit HyVee (love HyVee!) and then headed home to prep. I put in about an hour of prep work on Sunday and it paid off in spades all week! I simmered some of the super-delish, super easy marinara we’re hooked on these days while I cooked sausage for soup and pizzas (that recipe coming next week when I review the cookbook it came from!). I then cooked the onions, carrots and bell pepper that we were using for soup and meatballs in the sausage pan to pick up some extra goodness from the leftover turkey sausage bits. I made the meatballs and popped pot roast in the slow cooker and suddenly found myself with a fridge that was ready for the week ahead! Veggies sauteed for soup in the slow cooker Tuesday, sausage for pizza toppings and the soup, and homemade marinara, plus meatballs for later in the week. It’ll be an Italian themed week around here! Monday Leftover pot roast, with some fresh green beans and roasted brussel sprouts on the side. If your budget allows for it, the pre-cut and washed veggies at the grocery store can be a huge time saver. Anything that makes it easier to get veggies on the table is worth it! You can save money if you can put in a little extra time on the weekend chopping and prepping yourself. I find if I do all of this food prep stuff as soon as I get home from the grocery store, I’m much more likely to do it and then use the veggies before they go funky. Tuesday Thanks to Sundays work, I just had to open a bag of beans, pour in a box of stock and empty out the containers of veggies and sausage I’d already cooked into the slow cooker. Literally less than 5 minutes of work and we came home to a yummy smelling house. We dished out some soup for O and then stirred in a bag of washed and torn kale to wilt in the grown up soup. It was delicious (although a bad choice for eating right before I headed out to run!). Wednesday Free pie Wednesday at Village Inn, so we had our usual family date night. I love having one night a week where I don’t have to worry about dinner! Thursday Tonight, we’ll be having the meatballs I cooked on Sunday with marinara and pasta (or spaghetti squash in my case). All I’ll need to do is put the marinara on the stove to warm up with the meatballs nestled down in the pot while I cook the pasta. We’ll be able to have dinner on the table in a flash, thanks to a little work on Sunday. I’ll get everything started as soon as I walk in the door and by the time I finish letting the dog out, getting coats put away and sorting the mail, it’ll be time to set the table. Friday Friday just calls for pizza, don’t you think? We’ll save a little of the marinara from Thursday and use the leftover sausage I kept aside from the soup to top mini pizzas we make on sandwich thins for family movie night! Once you nail down a couple of foods you want to make for the week, think of how you can dual-purpose some of the ingredients so you maximize your budget and your time. Saturday is date night for the grown ups and corn dogs for O (he loves vegetarian corn dogs) with his baby sitter. Sunday we’ll start this whole cycle again. 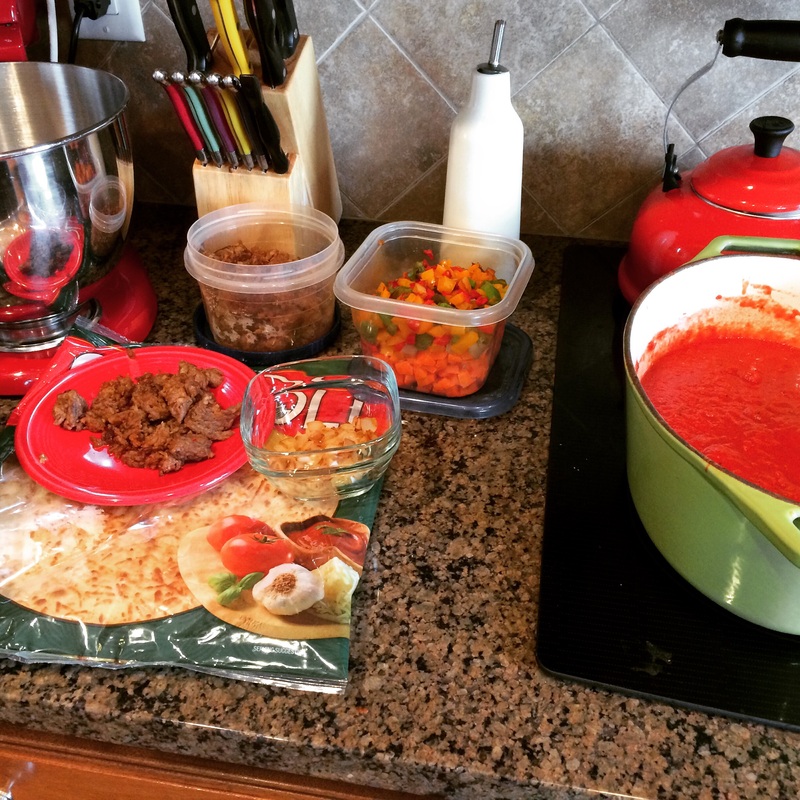 PS Here’s another post I wrote about how I approach meal planning that may help you get started! This week is National Eating Disorders Awareness Week, with a goal to spotlight the seriousness of eating disorders and improve public understanding of the causes, triggers and treatments of these disorders. The theme for the week is “I had no idea,” emphasizing the importance of recognizing that early signs and symptoms that seem small or insignificant are actually things that should trigger evaluation and treatment. Many people don’t know the early signs of eating disorders or that early treatment can help those struggling before it gets worse. As a recovering binge eater, the “I had no idea” speaks to me another level as well, to the secret nature of so many eating disorders. At this point, I will warn anyone who thinks hearing about someone else’s binge eating disorder might be a trigger for your own issues, please be warned and consider if you want to read further. When I first opened up to my husband about my binge eating (more binge eating disorder here), those were the actual words he said: “I had no idea.” He adores me, pays attention to me and had lived with me for over two years at this point and yet had no idea that I would binge in my car on fast food before I came home and made dinner for the two of us or that I would always buy two loaves of bread at Panera so I could eat one in my office and bring the other home. He had no idea the number of times I hid in the pantry or the bathroom or any other place where no one was watching so I could eat and eat and eat. He had no idea that I needed him to throw that birthday cake in the garbage outside and cover it with other garbage because I was so emotionally raw from having this conversation about how I really had a problem, that if it was in the (somehow cleaner?) kitchen garbage can, I might eat it anyway. He had no idea. He had no idea what it was like to feel so out of control and so disgusted with oneself over those episodes and still doesn’t because I don’t know quite how to describe it. I can’t even remember how old I was when I first started this. I know it was junior high or early high school, because I can remember vividly sneaking into a particular bathroom in a particular house we had to close the door and inhale the slices of white sandwich bread I’d smuggled in there or the nook under the stairs in that house where I would do it. It really got out of control in my early 20s when I lived alone and didn’t have to work so hard to hide anymore. Oddly, I still sometime found myself eating in weird places, hiding even though there was no one to catch me. 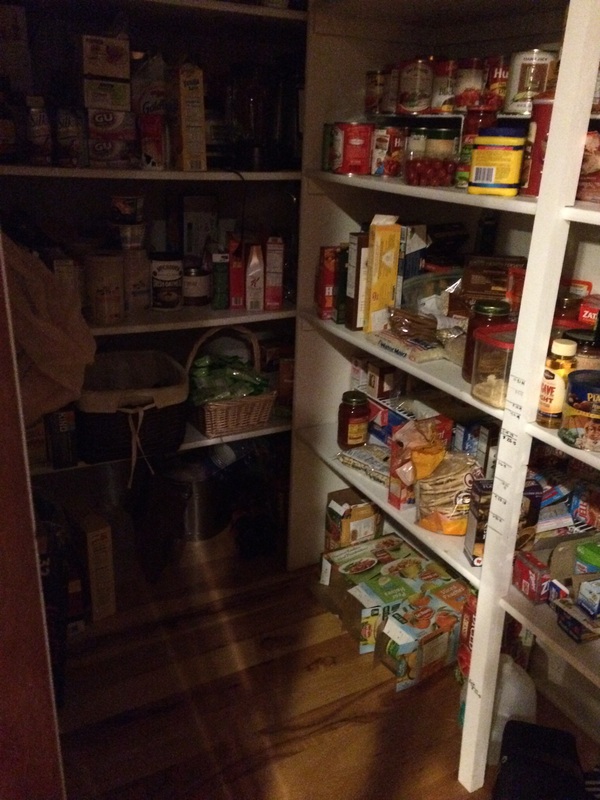 There are things I don’t keep in the pantry to this day because they’ve been binge foods in the past. For a long time, an element of the self-disgust was that I had no reason to be screwed up. Do you really need an excuse to have an eating disorder? Of course not – it can happen to anyone and it isn’t your fault. (Let me say that again in case someone out there needs to hear it: It isn’t your fault.) In my screwed up young mind, I couldn’t possibly have an eating disorder because people with eating disorders were thin. Now, of course, I know that isn’t true. People with eating disorders can look like anyone and everyone. It’s getting better. I don’t know that it will ever go away, but it definitely gets better. I’ve spent a lot of time practicing and learning my triggers, learning new coping mechanisms and dealing with the emotional issues that are my biggest triggers. I’ve been very open with my husband, who even though he doesn’t know exactly what it feels like, knows that he will help me however he can. That may mean moving things I’d binge out of the house on bad days. That may mean helping me talk through something or sending me out for a run instead. The solutions are going to be different for every person, but first you have to take the steps to look for those solutions. 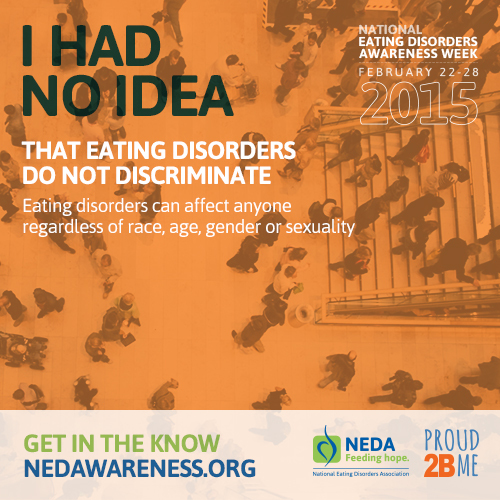 If you think you or someone you love may have an eating disorder, or even if you just want to learn more so that you can help others you may encounter, check out the National Eating Disorders Association and #NEDAwareness. There is also free online screening for eating disorders available at MyBodyScreening.org. Most of all, be kind to each other because you never know what someone else may be struggling with. It isn’t amazing how the littlest words from the littlest mouths can make you pause? This weekend, I got home late from work trip in Memphis and waffled a bit about going out to run on Sunday. After being out of town for several days, it always feels a little selfish to head out for an hour alone. I got dressed and we were all cuddling in bed watching cartoons while I continued to procrastinate. Oliver piped up and told me I should go run. I teased him about just wanting me out of the house so he could convince Daddy to watch TV instead of taking a nap and he got the sweetest, most serious look on his face and told me “No, mommy, you go run because it makes you happy”. My heart just melted because a) I really do have the sweetest kid and b) I am so gratified that this is the example I’m setting for him. Lest you think I’m being swayed by a manipulator who just wants to watch TV, I was amazed to realize that the look on his face when he was telling to run to because it makes me happy is the same look he gets when he draws me a picture or picks me a flower or gives his teacher a hug. My kid likes making people happy, which I adore about him. 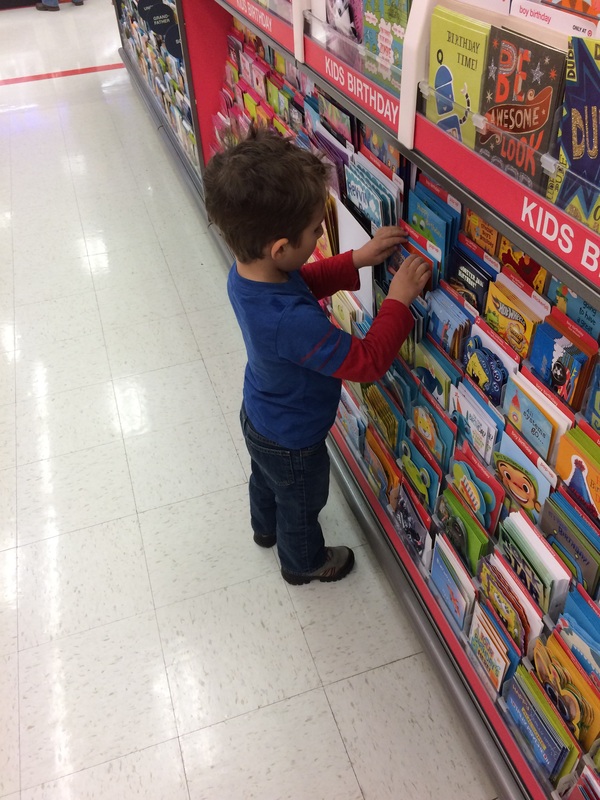 Picking birthday cards for Baby Jesus at Christmas – his idea and I nearly died at the cuteness of it all! – Exercise like running is something that is fun and makes people happy, not a chore to dread. I’m also sort of proud of myself that I’m now a person that is projecting these things to these little watchful eyes. Our kids learn so much about the world by watching our own interactions with it, as much or more than they learn from the things we say directly to them. It’s so easy to let our negative self talk trickle down to our kids and influence the way they view vegetables or exercise or their own bodies. It feels like a victory to know that at least for now, I’m doing pretty well with this particular part of parenting. This week’s Tuesdays on the Run topic is motivation and Oliver continues to be one of my biggest motivations to run. It’s funny that I was going to write about this encounter even before I saw the TotR topic, so cosmically things timed out perfectly. The world knew I needed to be reminded of why we do the things we do to take care of ourselves. You have to do it for yourself, but I can’t deny that those cute little eyes watching me are big part of the motivation too. 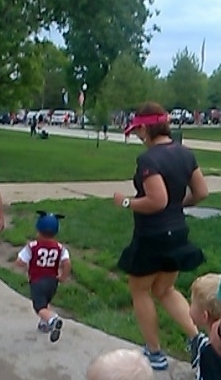 My favorite thing to see at the finish line! Be sure to check out April, Patty & Erika for the Tuesdays on the Run link-up and join the conversation! Thanks as always for hosting ladies! I can’t believe we’re already coming to the last week of February! On the plus side, March is normally when we start getting fewer spells of single-digit weather (knock on wood). On the negative side, I don’t know how well I’ve done in achieving my goals for February! Ah well, I have another week to be sure I stay on track. This was my weather for my long run Sunday – my ears were feeling a little frostbitten by the end despite two layers of ear warmers! This week, I traveled to Memphis for a work meeting. I already ranted about the conference food options (although I will say Friday and Saturday we had more fruit options and more veggies at lunch), but overall it was pretty good trip. I got to cross Tennessee off of my list for running 50 states, even if it was just on the treadmill. Between the icy weather and the safety concerns around the hotel, running outside just wasn’t a viable option. Even better, I don’t have any travel planned for work again until July! It’ll be nice to be home for a while. Oliver was sad I was gone and that is just heartbreaking. Monday Because I’d done my long run on the Sunday before, I decided to go with cross training rather than the easy 2-3 miles on the training plan. I walked for 35 minutes in the evening and felt like that was a good compromise. Tuesday I’m proud of myself for hauling myself out of bed early to run 3.5 miles outside (3-4 miles on the training plan). It was cold and stiff, but it got done. Wednesday I flew to Memphis and got in a 45 minute walk in the evening for my cross-training for the day. I also did some planks, push-ups, and the usual for a round of strength training. Thursday Hills on the training plan, which I accomplished on the hotel treadmill after dinner one night. I did a 10 minute warm-up and then 4 hill intervals – 5% at 5 mph for the first two, 6% incline for the second two – with one minute recovery walk/jog between and 10 minutes of cool down. 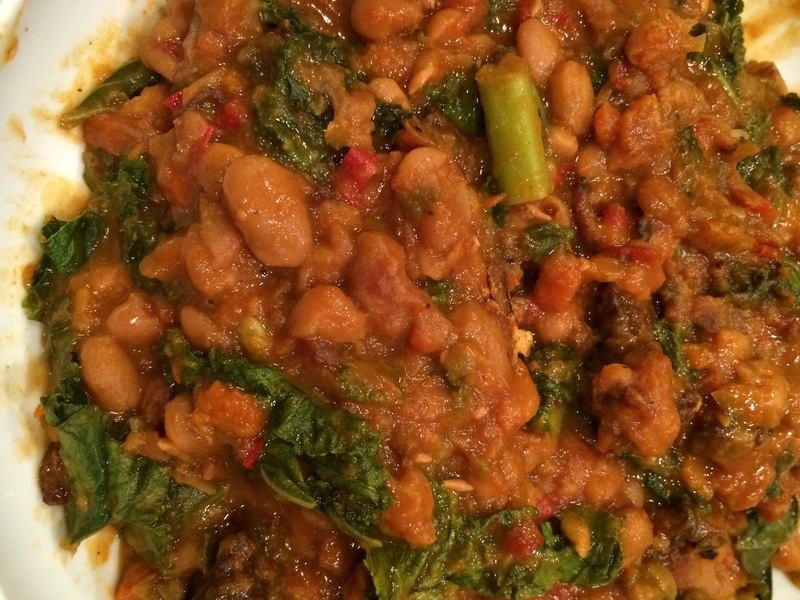 Quick and definitely doable – my legs were tired at the end, but I wasn’t wasted. I think next time I’m doing hills on the treadmill, I’ll work the pace up a bit as well as the incline settings. Friday Easy 2-3 miles on the schedule and because the hotel gym closed at 10 pm, I ended up at 2 miles on the treadmill. Ah well. Saturday 5- 7 miles, with the last mile as a “strong finish” was on the schedule. However, I was thwarted by the fact that the hotel gym didn’t open until 7 am on Saturdays. Pffft! My meetings started at 8, so I couldn’t fit that in. Thus, this had to bump to Sunday. The problem with Sunday long runs is figuring how to handle the next week of the training schedule with the need for rest after a long run. Sunday I got out in the cold Sunday afternoon to run with lots of layers. 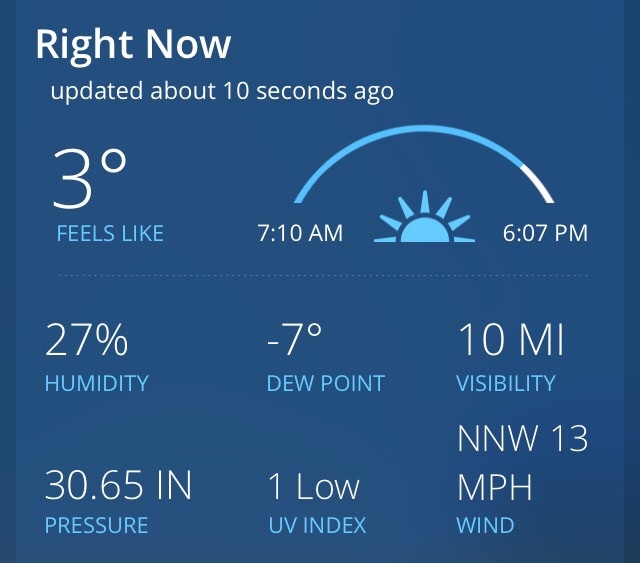 It was bright and sunny which helped, but that “feels like 3 degrees” temperature made me glad I was only out there for a little over an hour. By the end, my ears were really hurting from the cold! I was pleasantly surprised that even though I felt like I was moving slowly because of the wind and the cold, my overall pace was 12:10/mile. I decided on 6 miles because of the cold and the last mile’s hard effort meant runs uphill (because the last mile on the way home is all uphill) with walk breaks only when I was crossing the street. I’m proud to say that last mile was at 11:13 pace, not bad given that I wasn’t really pushing the pace so much as just not stopping. 🙂 I also did some body weight exercises that night. Beyond my workouts, this has been a reasonable week. I did eat a couple of desserts with the various dinners associated with the meeting, but they were good and I thought about whether or not they were worth it as I ate them (they were!). 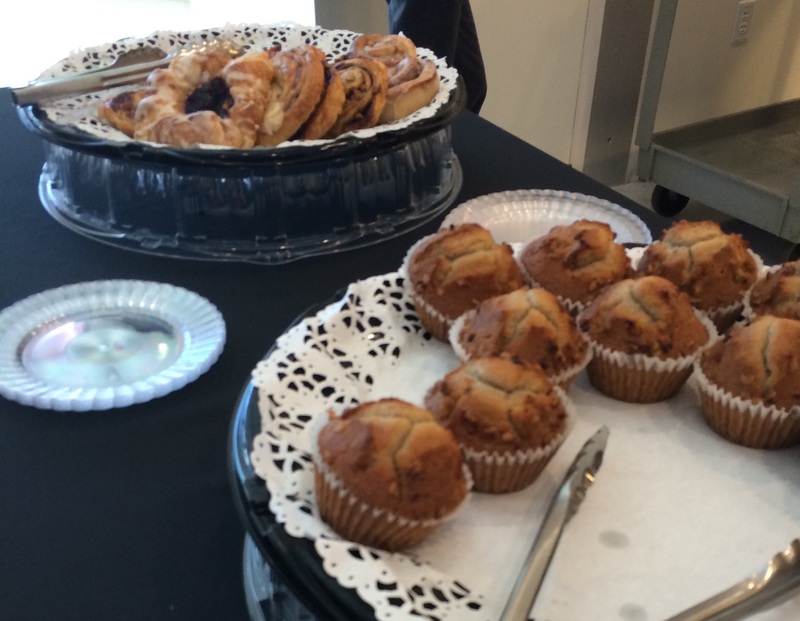 I didn’t eat the pastries and other temptations constantly available in the conference breaks and I also drank lots of water, so in terms of food quality and achieving some balance with food and normal life, I feel like it was a reasonable weekend. My NSV is definitely resisting all of those pastries and cookies – I know they wouldn’t have been worth it. I’m proud of myself for resisting these! I got lots of meal prep done yesterday, so I’m ready for a week of tasty, healthy meals this week. I also tried and loved a new to me cooking technique for potatoes last night – hasselback potatoes. Super easy and tasty! Cut the potatoes almost completely through in several places, toss with a little olive oil, garlic, salt & pepper and then roast for 45 minutes at 400 F. Yummy! Definitely try these potatoes out – easy & delicious! Here’s wishing everyone a good week! I’m looking forward to being back home with my family all week, with no big to-dos other than reading lots of Princess Half Marathon recaps (love all the pictures!) and a new-to-me 10K race to look forward to on Saturday afternoon. They did have yogurt cups but they were the full fat, full sugar ones from Yoplait and I was too shocked by the calorie count for a little cup to take one. Yikes! For more awesome, positive self talk, check out Tiina’s fabulous post You’re not a tree, about stepping outside her comfort zone and tackling new challenges. It is so easy to stay with what is easy, with what we’re already comfortable with, but every once in a while we need to stretch those limits in order to grow. That’s going to trigger a lot of doubt and negativity for a lot of us, but Tiina does a great job showing what can happen when you embrace to possibility of that kind of challenge. You rock Tiina! With the winter weather, travel interruptions and work stuff, I’m in that early-mid training cycle blah phase. I know if I want that speedy half marathon in May, I need to stick with training and not wimp out now! My body is fine – it’s totally my mind that’s wandering. To keep things going, I’ve decided on a few little rewards for myself. First up, if I do EVERY workout in the training plan for the next two weeks, I’ll treat myself to the new Kelly Clarkson album. Two weeks seems like a good short term goal. I’ll pick a new goal after I achieve that one (ideas?). Hitting every workout means not skimping on strength training twice a week in addition to the runs. This week Jennifer over at Running on Lentils had an interesting post about strength training plans and mixing it up periodically. I like the idea of changing your strength training plan from month to month, to keep things interesting for your brain and your muscles. This weekend, I’m going to look at coming up with a new routine for my next couple of weeks just to mix things up from my usual squats and planks and push ups. If that’s a “no big deal” workout for me now, I need to step it up in order to benefit from it. What are you guys up to this weekend? I know a lot of people are still struggling with the cold and the ice and the snow. Bundle up! Stay warm and stay sane! Spring will be here soon (right?). Note: This post was written LAST Thursday and I thought it posted then, but apparently not so I’m posting it today because I know some of you feel my pain in my inability to relax, right? I’m in Memphis for work today. Wish me luck navigating conference food for the next few days! Here’s hoping I don’t wipe out this week’s 3 pound loss. Thankfully this is my last trip for a couple of months. I’ll be crossing Tennessee off of my “50 states to run” list today but it’ll have to be the treadmill because of a) the ice here and b) safety concerns in this part of the world for a girl alone. 🙂 Hill workout in progress as this posts!! In the last 6 months, with my work responsibilities increasing as I take on bigger and bigger projects, I found myself feeling the stress more than usual and getting sick more often than usual (even ending up in the hospital!). I clearly need to work on relaxing. Running can be a great stress reliever for me, but I need to find other stress relievers because A) I can’t run every day and B) it can’t be my ONLY stress reliever. I’m working on that this year by actively taking time to reflect on putting good out into the world and being grateful for my life (like in my weekly wrap-ups), as well as getting back to reading for pleasure, which has always been one of my favorite ways to relax. We also just back from a 7 day Disney cruise. You’d think that would be relaxing by definition, right? Except I’m really not built that way – instead, I was stressed for most of the week before we left about how Oliver would travel, were we packing the right things, were we packing too much, would we oversleep, would have fun – you name it, I worried about it. Last time we went on a cruise, I let that kind of worry dampen a lot of my enjoyment of the trip, which mostly manifested itself as bad sleep the whole week and some binge eating in Disney World when we got off the boat. I definitely did not want to go through that again. Being a goal-oriented, list-making person, I actually made a list of things I was going to do to relax on my vacation (yes, a literal written list). Have one alcoholic beverage each day. This actually started with lunch on Friday afternoon before we left. At least one of these must have an umbrella in it. Treat myself to a fancy coffee drink every day. Sit in a deck chair and read the book I brought along. Finish at least one book on this trip. Combine this with the coffee or alcohol if possible. Don’t track or obsess about food (and therefore be okay about a gain). Run as often as I want. Don’t worry about taking time away from my family – they’ll be fine (and probably asleep anyway). I also booked a body wrap/massage and a mixology class ahead of time, as well as two adult-only dinners with my husband. That’s it. No excursions, no other must dos. Not bad. 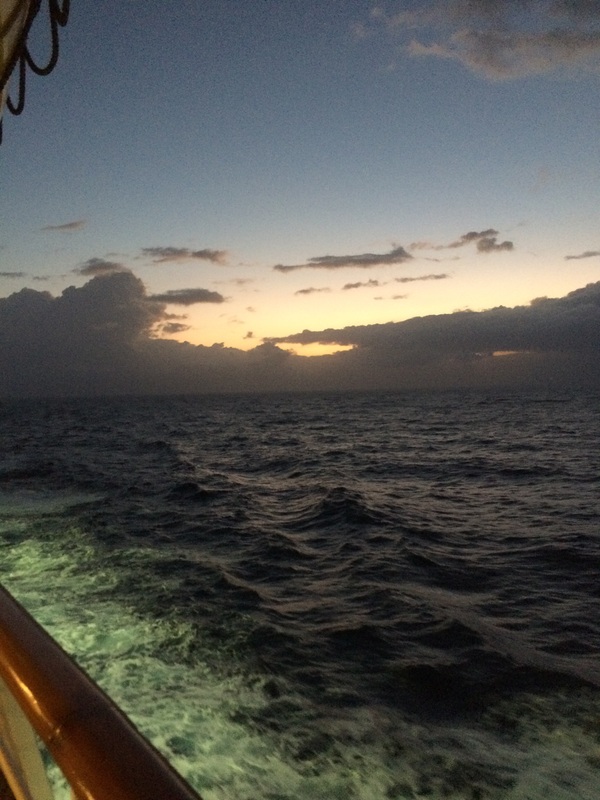 I definitely feel like I relaxed a lot more this week than I did on our last cruise. Part of what helped, unquestionably, was Oliver’s rock star traveling ability this trip. Being on a 7 day trip also helped – I constantly found myself saying I had plenty of time to get to xyz thing on the schedule. I never got around to the yoga class because it always would have required rushing from one thing to another. I’m actually really proud of myself for never setting the alarm clock to wake up for the 7 am yoga class. I watched the yoga class on the beach, which counts, right? Darrell & I also spent some time just lounging on the adult only beach – heavenly! I also learned how much work I still have to do with regards to letting go! There were several times when I went to get O out of the kids club and he didn’t want to leave, leaving me with pockets of time where I had no parenting responsibilities and no plans for entertaining myself. 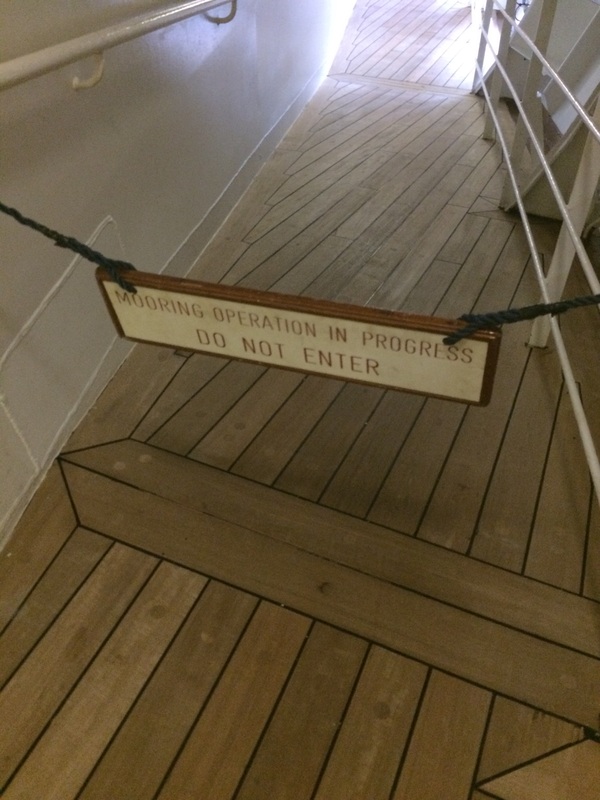 On a cruise ship, this should not be a problem! Anywhere in life this should not be a problem. I should be able to say “Yay! I’m going to sit in a chair and read a book or take a nap or whatever.” Instead, I was flustered every time and I confess, almost every time, my reaction was to go get a drink to remind myself to relax. This definitely contributed to my cruise weight gain! Do you have a hard time relaxing? Surely I’m not the only one with this issue right? 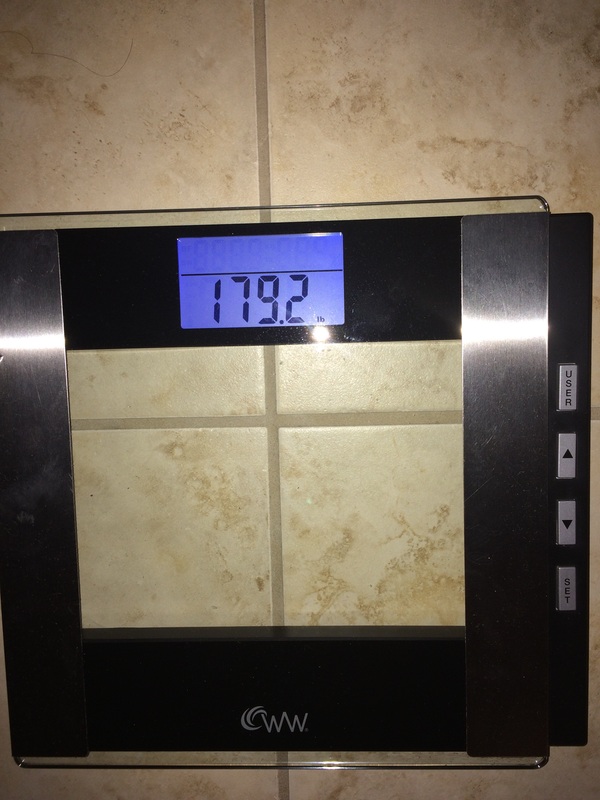 I confess, I was seriously worried the scale wouldn’t be going in the right direction when I stepped on it! 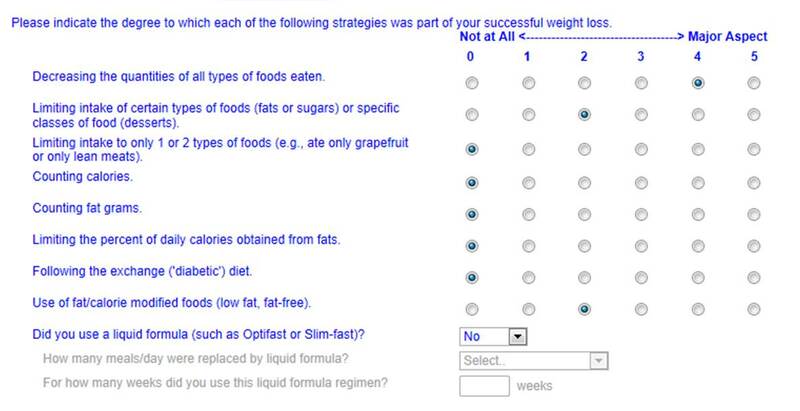 Last month, I got the email link for the National Weight Control Registry survey for the first time and I thought I’d share with you guys some of the more interesting questions it broached. – The first page included questions about the weight of your biologic siblings and parents, as well as the age you first became overweight. I found it interesting to start with this even before it got into how you lost weight or what you ate/how you exercised. We really can blame everything on our parents, right? 🙂 I have a lovely family and yet my mother worries any time that I tell her about a new writing project I’ve taken on, she first asks if it is going to be about my family (fearfully). – It then progressed to ask about how you lost weight and what your pattern of gains/losses has been like since reaching your goal weight the first. I found this a little difficult because it was set up as multiple choice questions, none of which quite fit what I wanted to say. Being able to say I don’t eat fast food is such a HUGE change from my prior eating and yet has been a relatively easy change. – There were nitty gritty questions about what you eat, like the usual how many fruits & veggies, how many times a day you eat and how often you eat out. This question really highlighted for me how vanishingly rare fast food is for me now, where it was a near daily occurrence for years. 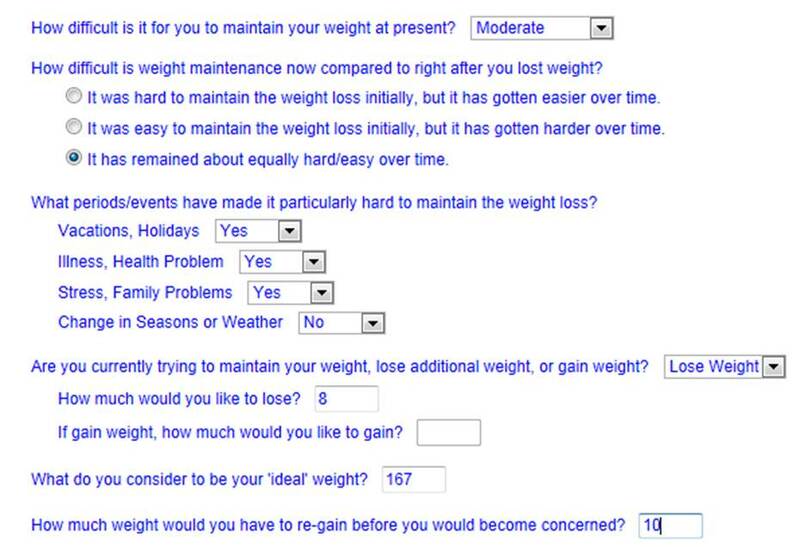 – They asked for your ideal weight and how much weight you’d need to regain before you get concerned. I suspect this answer changes as you get further into maintenance. To start with, I panicked about a single pound. Now (ten pounds over goal), I think 5 pounds over goal is the point at which I’d get worried. – There were several questions about emotions associated with food and any painful experiences you’ve had. I know some of the studies to come out about weight loss have tied weight gain to painful experiences in early life, so maybe some of that data came from here? You guys know I answered “True” for lots of these. I definitely have emotional eating issues! – The slightly frustrating multiple choice questions were balanced by a paragraph for free text at the very end of the survey for any other thoughts you may have. Of course, by the time I got there I was a little tired of thinking about it. It would have been nice to know about the free text option earlier in the process so I could have had that written and ready (and wouldn’t angst so much about the multiple choices because I’d know I could clarify later). I ultimately found this really interesting because A) as a science geek, I like knowing my answers might help us understand something more about weight loss and weight maintenance and B) it made me think in concrete terms about how weight loss happened for me and what factors are really an issue in loss and maintenance, especially in the midst of regaining weight thanks to Disneyland and a Disney cruise back to back. 🙂 I’ll be curious to see how this survey changes over the years, as new ideas arise that they poll the audience on. Have you ever been part of a research study? Earlier this month, I got lots of practice running on a cruise ship. I wanted to stick to my training plan because a) I have big goals for the Lincoln half marathon and didn’t want to miss a week of training just for vacation and b) all that running kept my weight gain from being even worse than it was on the cruise! There are a few options for sticking to your training plan while on a cruise ship. – Find the walking/jogging deck. On the Disney ships (and I suspect many others), there’s a promenade deck that you can walk or run on. In the case of Disney, this is deck 4 (at least on the Dream and the Magic). This is definitely how I got most of my miles in, especially early in this morning. It was so nice to be out when the ship was quiet and watch the sun rise over the water as I ran my laps (3 laps = 1 mile on the Magic). The changing light over the water actually helped to keep things interested over the many, many laps I ran. Gorgeous watching the sun rise! 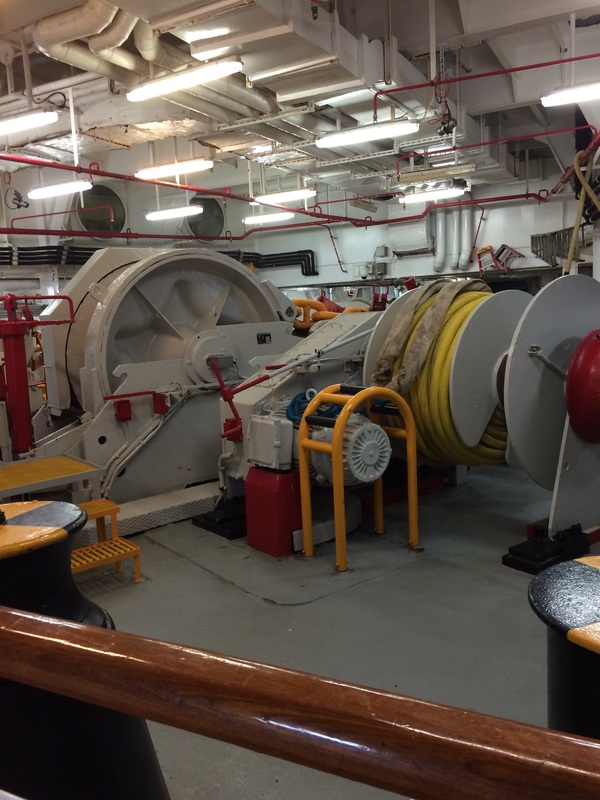 I also got to see some areas of the ship I wouldn’t have otherwise! This disadvantages to this approach are that a) it gets crowded later in the day (although I did enjoy running past people napping in the lounge chairs one afternoon) and b) your GPS device may not work on the boat, so you’ll have to find another way to estimate your pace and keep track of your distance. I found it particularly hard to keep track of the many laps, so a lot of my distances for the week on board were estimates. Also inconvenient that the jogging path may get closed while you’re trying to run. – Hit the treadmill. 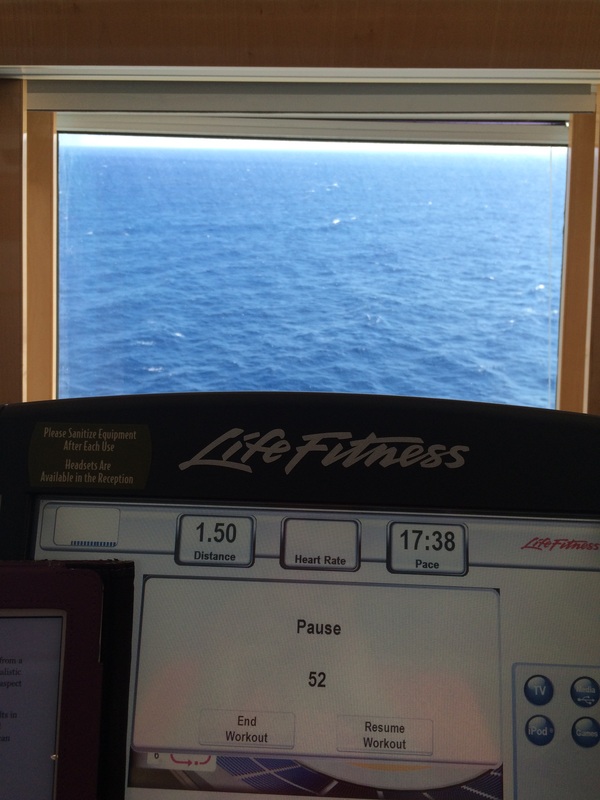 I’m not opposed to treadmills on dry land, but I really dislike them on a cruise ship. The motion of the boat plus the treadmill really disorients me! However, it is sometimes necessary. In my case, I did the tempo run on the treadmill so that I could be sure I stuck to the pace without letting up for a mile. I also ended up doing part of the long run on the treadmill because they closed the promenade deck. This time around, I found the treadmill a lot less disorienting because I’ve figured out how to read on my iPad while I was running. Focusing down on the iPad rather than on the water really helped tremendously. It’s odd – you’d think the lovely view of the water would be a good thing, but it definitely isn’t for me! The day of my long run, I also kept one hand on the treadmill rail for balance because of the boat motion. Nicer view than usual gym views,right? – Run in your ports of call. I’d read a lot of different reports of people getting off at whatever port they were visiting to get their run done. It would depend on the safety of that particular port of call and where you docked, I suppose. I didn’t go this route for the most part because it seemed like a bit of a hassle, especially since I didn’t mind running on the promenade deck. 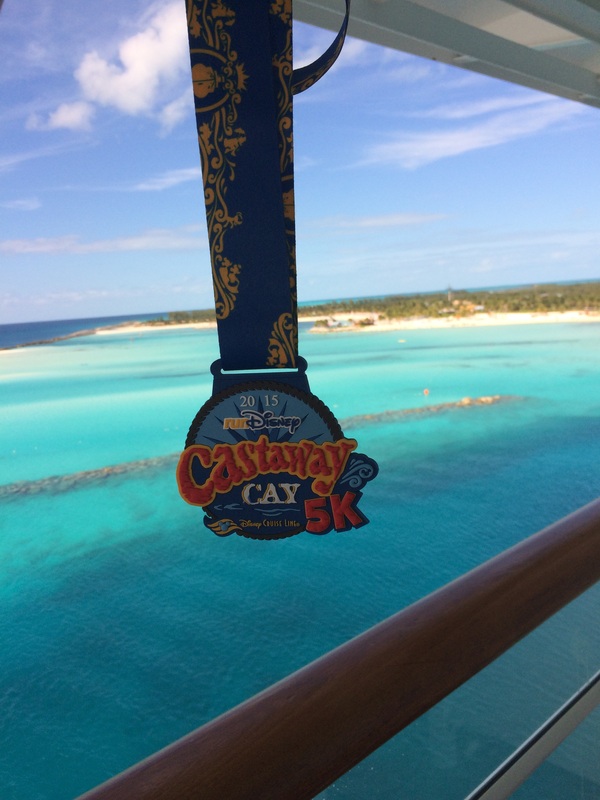 I did run on Castaway Cay, for the 5K, and saw several people out running the runway and bike path throughout the day on the island. It’s rubber, but it was free bling so that’s totally fine! Have you run on a cruise ship? Any advice? PS Check out this recent post from Pam with great tips about planning workouts when you’re on vacation! Weekly Wrap Up: At least I got the long run in? It’s always a harsh re-entry into the real world after vacation, isn’t it? Last week was less than stellar on the workout or “healthy relationship with food” front. From a food perspective, I absolutely got back on track with tracking my food and making healthy choices. The problem is that almost every day I felt like I was “on a diet.” I know it’s just a period of readjustment to the eating style I’d gotten used to after indulging so much on the cruise and it will pass but it stinks. I could not have stuck with this for so long if I felt like this all the time. There’s this constant little voice in my head of “just a little won’t hurt” left over from vacation eating. Ignoring it will quiet it back down over the next week or two, I know. I’m treating myself to my favorite healthy foods to make it a little easier to get back to my normal eating, which definitely helps. Darrell is a much better ravioli maker than I am! 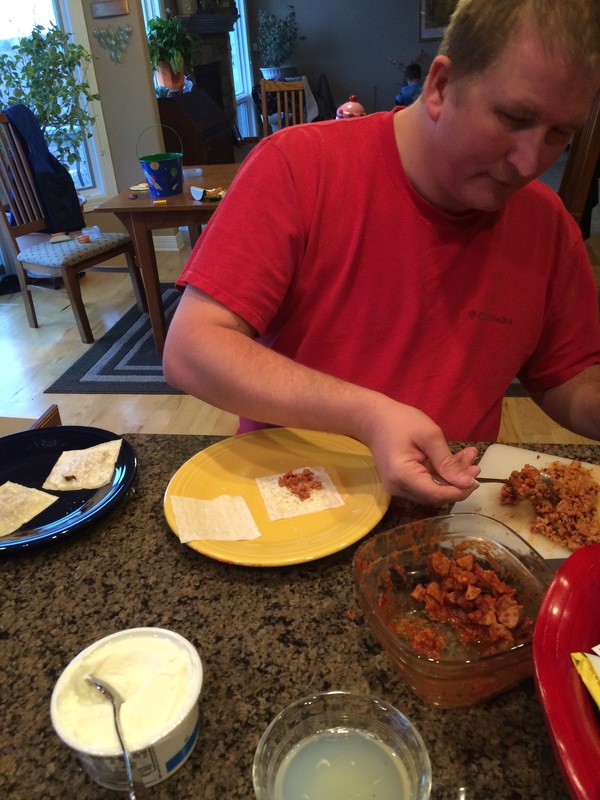 We had a great time having a healthy Valentine’s day dinner, making homemade ravioli with healthy fillings. Darrell is much better at it than I am – much more patient with the filling and the wontons we were using as ravioli wrappers. 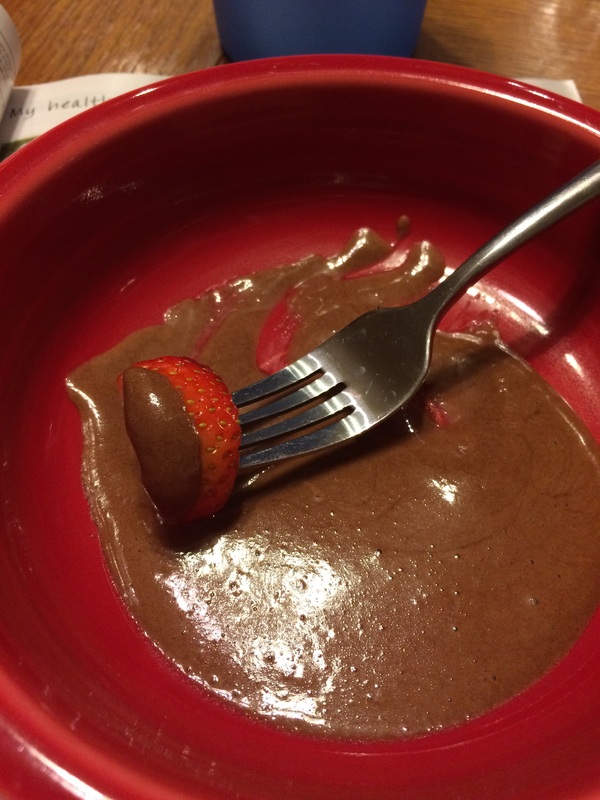 We also made a light chocolate fondue from Spark People for dessert that was delicious! Monday With a 7 am meeting and not arriving home until after 10 pm Sunday, there was no getting out early to run Monday morning. The training plan called for an easy 3 miles but instead I went with a 20 minute walk and strength training. Better than nothing right? Tuesday Overslept (common theme this week) and skipped the easy 5-6 miles on the schedule. Wednesday Cross-training on the schedule, but I hoped to make up for Tuesday’s missed run and headed out early. I came back in after 2.5 miles because I wasn’t dressed nearly warmly enough for the cold and wind chill! Very different from my views on vacation! Thursday Speed work on the schedule, that got cut a little short because I worked late. There was a 10 minute warm up on the schedule that I cut to 5, but then I did 4 intervals (3 at 7 mph, 4th at 7.5 mph) with 1 minute recovery (not the 2 minutes on the schedule) and a 5 minute cool down. I’m proud of myself for getting it done! Friday I was tempted to tackle the 5-6 mile run but knew that would be a bad idea with a speed work Thursday and a long run Saturday. Of course, the “nothing” I did wasn’t great either – I should have done some cross training or at least strength training as a happy medium. Saturday I planned to run my long run (7-8 miles) while O napped and instead passed out myself in the living room! I guess my body needed rest. This cozy chair in front of the fireplace just sucked me in. Sunday I absolutely had to get the long run done for the week so it wasn’t a total waste, so I hit the treadmill at the gym. It was windy and below 10 all day, so I was stuck on the treadmill and it was miserable. Every time I wanted to quit I reminded myself that was really cold outside. I’m glad to say I finished 8 miles and that the miles got progressively faster as I went along (overall pace 12:30 but I was between 11:30-12 for the last 5 miles). Wow was I sore afterwards! There’s something different about my form on the treadmill that always leaves me achy after long runs. For this week, I’ll adjust the schedule a bit so I don’t run today and cross train instead, just to avoid tweaking my sore legs. I’m home today with Oliver for a teacher inservice day, so let’s hope that the cross training looks like something other than just kid wrangling and putting away laundry! I’ll post a review when I get through it! My good deed this week was donating to a send a friend’s kid to medical school “camp” essentially. This spring, I want to start involving Oliver in our family good deeds and talking to him about what kind of things we want to donate to and help with in our community. We’ve got such a blessed life and I want to be sure we teach him early how important it is to help those who aren’t so lucky.